Donald Martin was right to announce the end of the leader column in The Herald – and every other editor of a regional or local newspaper should follow his example. Let’s remember that Donald was only referring to the extinction of the leader column as a piece of furniture, as the leader column ‘released’ can still live (and we’ll return to that caveat in a moment). But why kill fixed editorial columns? Because on many a day, they’re no more than bland space-fillers, sitting-on-the-fence essays of safe words concocted to offend no-one in heated – and sometimes unheated – debates. Nothing is more boring for readers with passion on a local issue coming across a column that commends their belief but urges caution, applauds the opposite argument with the stipulation of restraint, and concludes with more circumspection. And yet that is what generations of editors up and down the UK – including me – have been doing in the traditional leader column for far too many years. 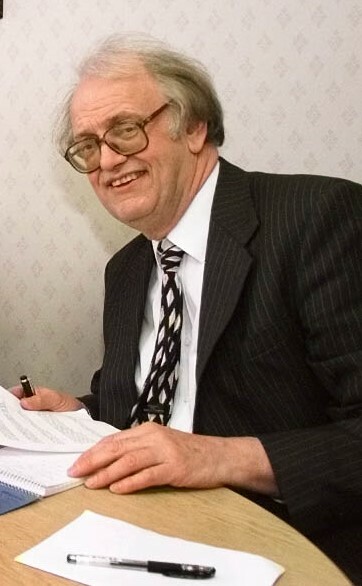 As a humble reporter on the Birmingham Evening Mail in the early 1990s, I can recall associate editor Peter Freeman spending long hours flitting in and out of the editor’s office every morning with editorial after editorial ‘spiked’ – often noisily – by then editor Ian Dowell (pictured). This failure to capture the essence of the required opinion regularly resulted in other top wordsmiths such as head of sport Leon Hickman or chief feature writer Maureen Messent being called upon instead and – eventually – an acceptable leader was always published. Note the word ‘always’: because the leader occupies a sacrosanct space in the paper – most regularly the left-hand column on the left-hand letters page – it must be filled, senior editorial staff must sweat over it, and it can never not appear. “Why is this waste of resource happening time after time for no good reason,” I used to wonder when watching those antics 25-plus years ago … before finding myself in the same position during my days in the chair on the Evening Gazette in Teesside and then back on the Birmingham Mail. The problem was not a lack of controversy – that always exists somewhere in every edition of every newspaper. But because such contentious issues had usually been reported properly, the extreme views had already been included in the news story as either the nose or balance, leaving little for editorials other than trying not to offend either party. I was lucky: on the Gazette, my deputy the great Alan Sims strained without request and on deadline every day producing the required leader, and back on the Mail busy features editor Paul Fulford was also adept at what was needed. But with all due respect to those class acts, creating the editorial as a piece of furniture was almost always a misuse of their precious time, and I’m certain it was never widely read. There’s that phrase again: ‘as a piece of furniture’ … and that’s what has always been wrong about the leader, sucking needless content almost every day because it’s always in the same space. To go back to the legendary editor Ian Dowell again, he recognised this and once declared the “end of the editorial” in an Evening Mail mini-redesign of the late 1990s. For several months, that’s what happened: the leader column was deleted from the Mail’s templates, on some days therefore appeared nowhere, but it was occasionally emblazoned next to the relevant story on page one, three, five or seven – or wherever the hot-blooded issue was covered. The perceived problem was then inconsistency. Because it wasn’t furniture, the leader looked different every time, some days headed ‘The Mail says’, then on others ‘Mail comment’, or ‘We say’ or ‘The Editor says’. In the same way, its length and breadth differed – some days 100 words, others 300, occasionally across two columns, usually contained within one. But always varied. And a subsequent dislike for this mercurial existence meant the leader was reborn as a piece of furniture in the very next mini-redesign, once again taking the same space every day, come rain or shine. Reflecting on old Dowellie’s experiment, I wish we had persevered, refined and ultimately established the occasional leader as the way forward, because in many ways it was so much better. When an issue demanded a comment, it was readily available, more likely to be powerful and read, but when no editorial was needed it didn’t matter because no furniture demanded its presence. With that in mind, I’m sure the same will sometimes happen on The Herald now that the leader has been killed off as a predestination. No longer will Scottish eyes pass across it as a daily boring kismet tucked away on a left-hander, but when a story screams out for The Herald to take a stance it will still be available – albeit as a ‘Page one comment’ or ‘The Herald says’ special. And that’s why I believe all editors – where they themselves still exist – should join Donald Martin in kicking the leader as a piece of furniture into touch … while retaining the right to bring it on as a super-sub when a flurry of glittering word-smithery is needed. Yes, the leader column is dead, but long live the leader. I don’t entirely agree that the Leader is dead. I think they can, if written well, make readers think about a particular issue. Maybe I am old fashioned but I always read the leader in my daily paper. Depends how well they are written. Frankly I think leader columns are for people who cannot think for themselves. Most intelligent people are capable of forming their own view of news. The other problem is that so many leaders are politically biased, aimed at keeping readers with the same bias happy. Hang on, let’s not pretend leader columns have been killed off for any big theoretical editorial direction, or respecting the readers’ views, it’s because newspapers are shrinking and there’s less staff and time to put them together. I didn’t always agree with the leader column’s contents – it was usually populist – but that was what, by and large, it was supposed to do, carry the readership along with the paper and act as a figurehead to the title. The demise of leader columns reflects the deliberate demise of all feature content in newspapers and news web pages.